EXETER – Lions Stadium was ahead of its time when it opened 1994, but in the 25 years since have fallen into disrepair. In the months leading up to a new baseball season, much of the Exeter community banded together to give the stadium its first major renovation. The entire project cost $35,000 and addressed many problem areas both on the field and in the stands. The leveling and the resurfacing of the entire playing field was $18,000, and was a joint effort by the Exeter Baseball Boosters and the City of Exeter. Briner and Son Landscape Management out of Fowler came in and completely leveled the surface. The City helped with installing a brand-new sprinkler system which will provide more efficient coverage to the field, and put down new grass. The rest of the funds were put toward a variety of improvements for the spectators and players. Fans attending a game in 2019 will no long have to worry about walking on rotting wooden planks to get to their seats. Brand new planks, and steps were installed by TC Iron Works. In addition a new brick back stop installed by Foothill Masonry now stands in place of the wrapped wood one. A new seating area along the first base side will also be built. The new area will include, picnic tables and a new flag pole. Funding for the entire project was led by the Exeter Baseball Boosters, Exeter Union High School, as well as other community clubs and individuals. Plaques commemorating each donor will be placed in the section of stands which they sponsored. 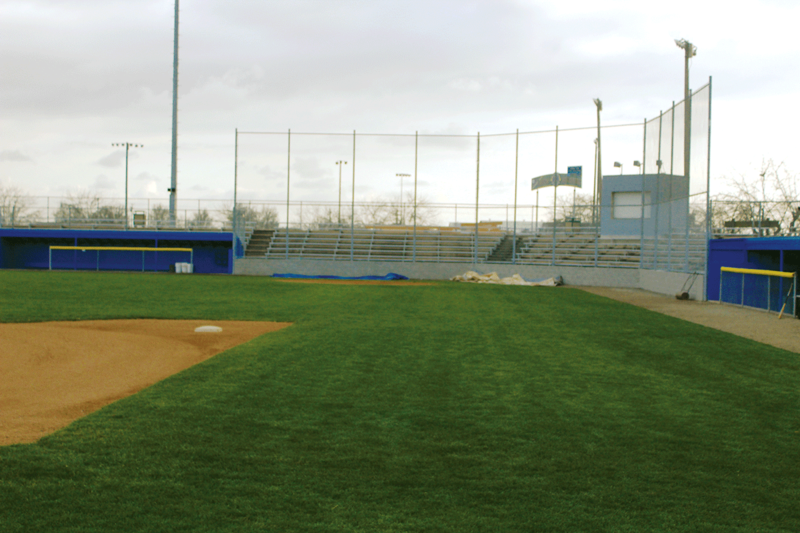 These improvements could be finished before the Monarchs’ home opener against the Woodlake Tigers on Feb. 12. When the Monarchs take the field against their rival it will be their first step toward proving last year’s valley championship loss to Fowler was a fluke. Exeter will be led by their senior ace Jaykob Acosta after the graduation of Dillon Howell. Acosta, the CSU Bakersfield signee had 16 appearances last year for the Monarchs and posted a 5-4 record. In 49.1 innings he posted a 1.14 earned run average.